Crisp air. Damp grass. A late-night food run to Wegmans. All’s right with the world. It’s good to be back in the familiar environs of my native upstate New York. The summer swelter of D.C. always makes me yearn for its comfortable climes. The kind of weather that entices you to ride ’til sundown then collapse and fall asleep with the windows open. 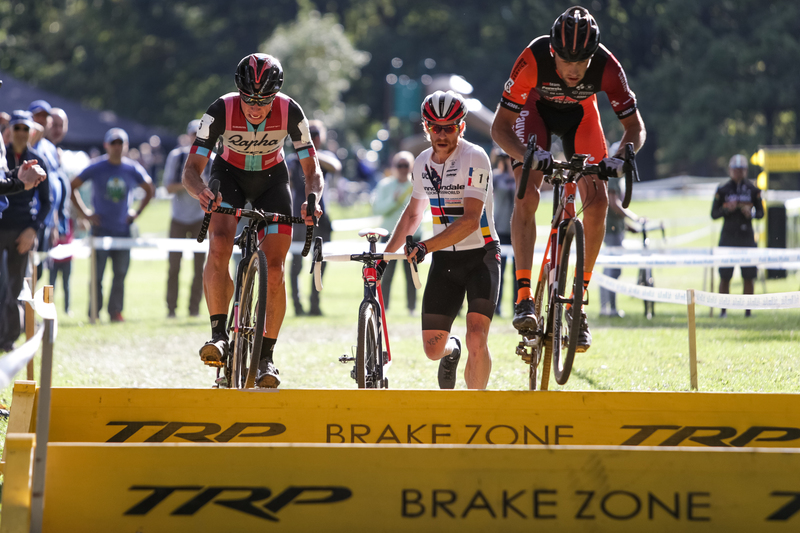 This is good news for cyclocross, too. 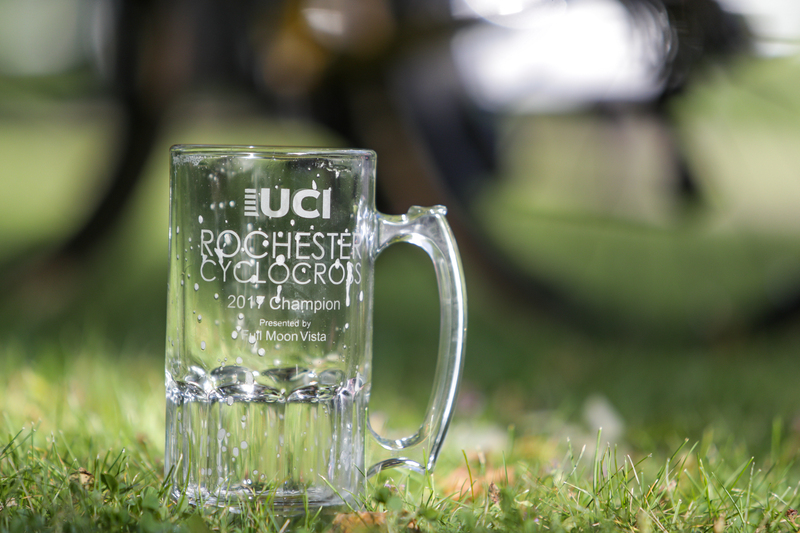 With temperatures forecast in the 70s for the elite races, it’s ideal weather for the UCI C1 season opener at Rochester Cyclocross. 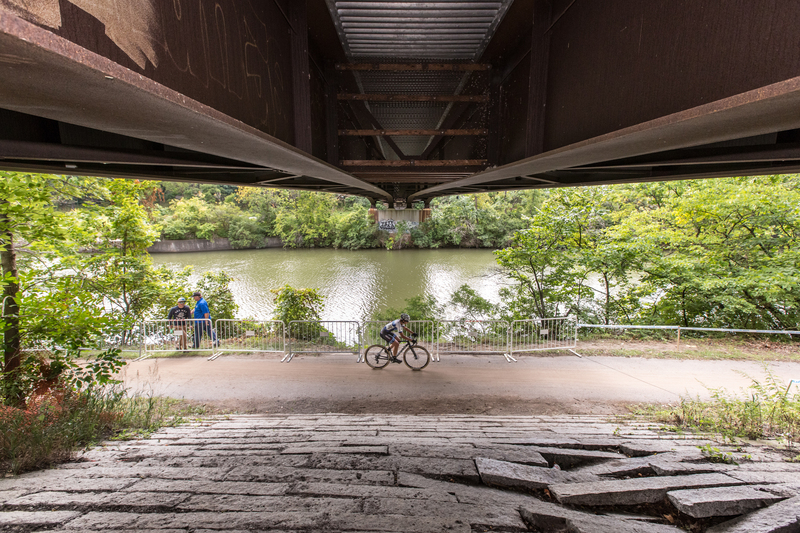 For the previous two editions of the event, racers endured unseasonably scorching 100-degree heat indexes. Not today. 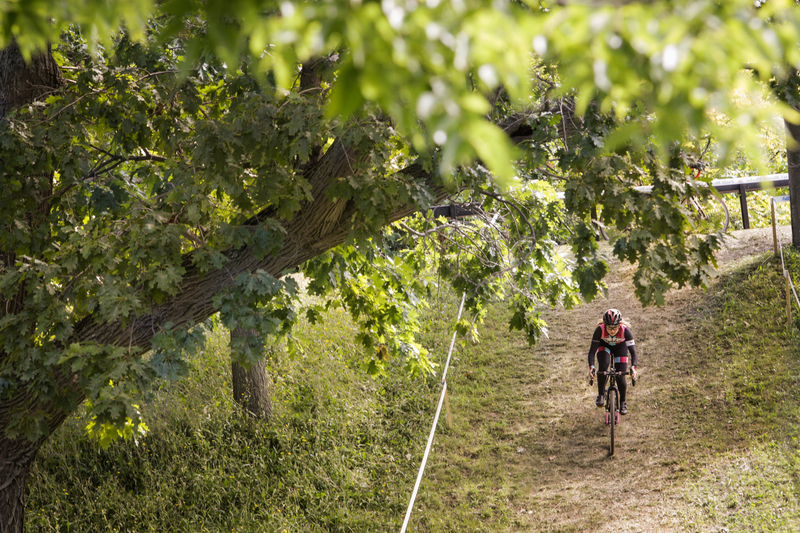 No one will be battling the elements — just the course and each other. It’s perfect. When we roll into Genesee Valley Park, it’s still sweatshirt weather. We toss on our photographer “vests” (really, they are basketball practice jerseys), gear up, grab coffees and head out among the massive oaks, rolling hills and steep banks along the Erie Canal. There’s a lot of history here. The city’s four main parks were designed by Frederick Law Olmsted (who also designed Central Park, Golden Gate Park and dozens of others). Olmstead focused his work around Rochester’s parkland along the Genesee River and the canal. 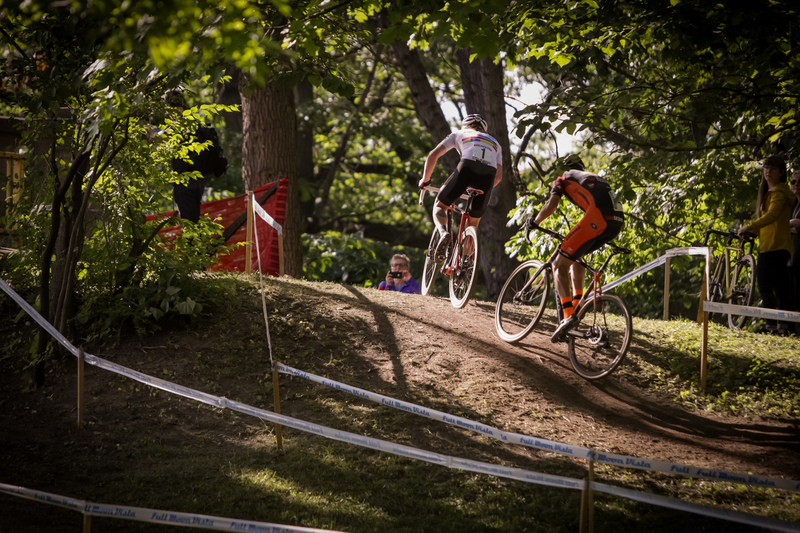 It’s safe to say Olmstead never envisioned a cyclocross race here, but he did provide a hell of canvas for creating one. 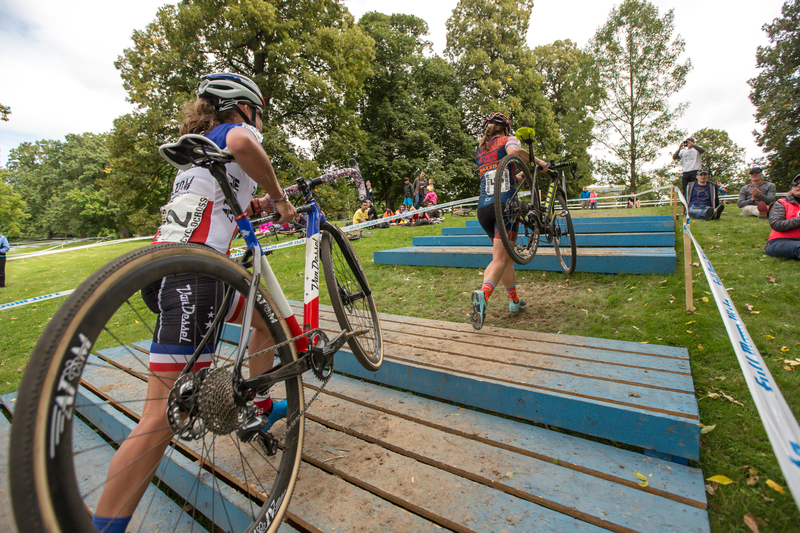 There’s good balance to the course. 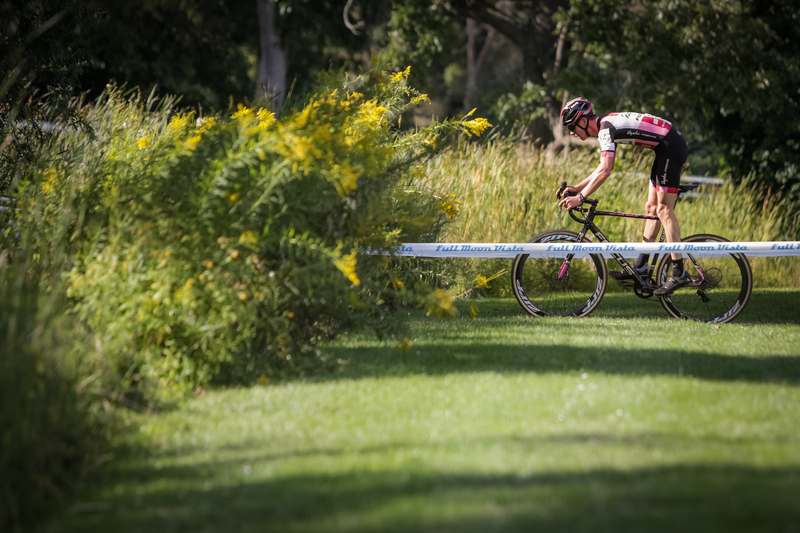 Around the main venue, there are long power sections of rolling grass. 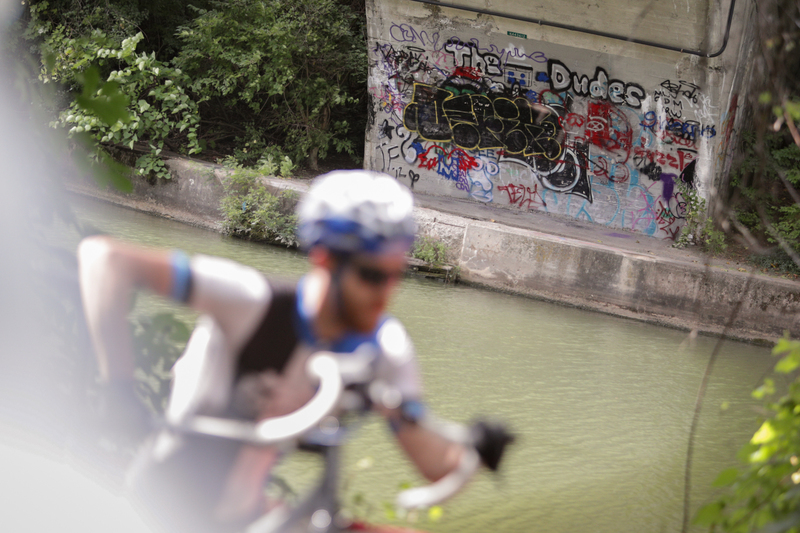 The canal portions mix in steep kickers and twisty downhills with multiple log hops. All things equal, it could be anyone’s day. 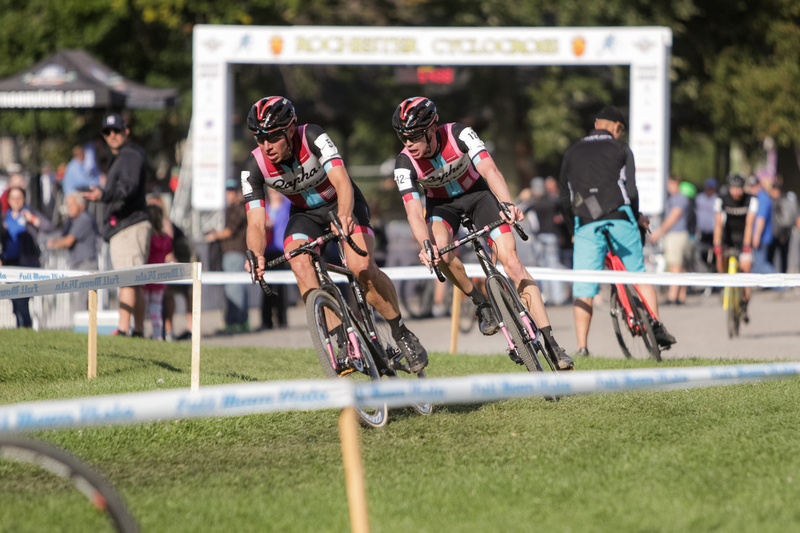 But the real pressure is on those wearing #1 on their sleeves and sides—Ellen Noble (Aspire Racing) and Stephen Hyde. 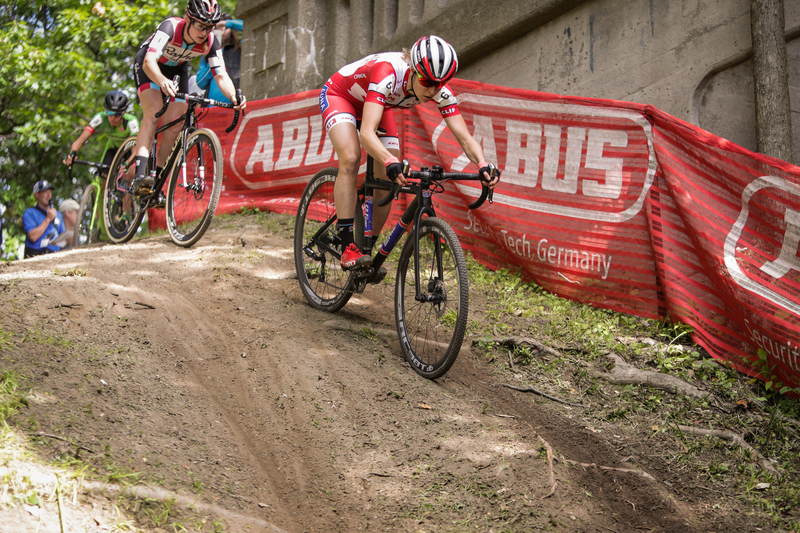 After a dominant run in the U23 ranks, Noble has aged up to the elite women’s field. 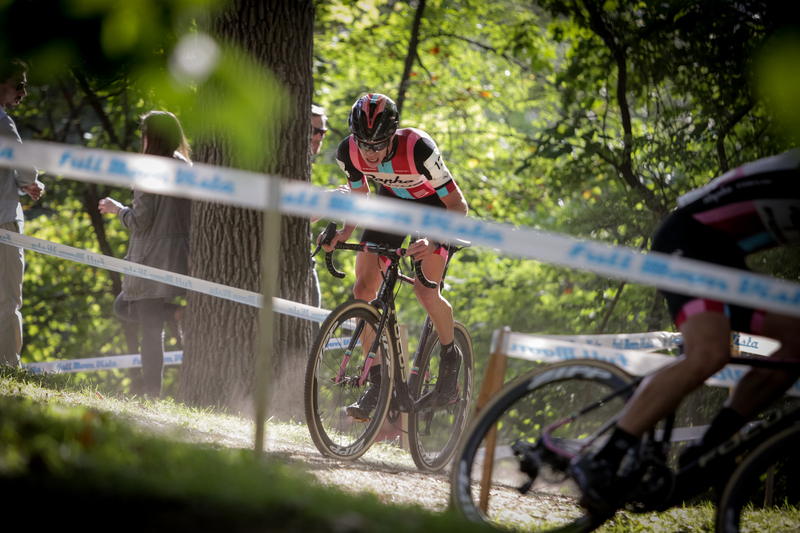 In the past, she struggled to get top tens at this race, but today she has the first call-up. 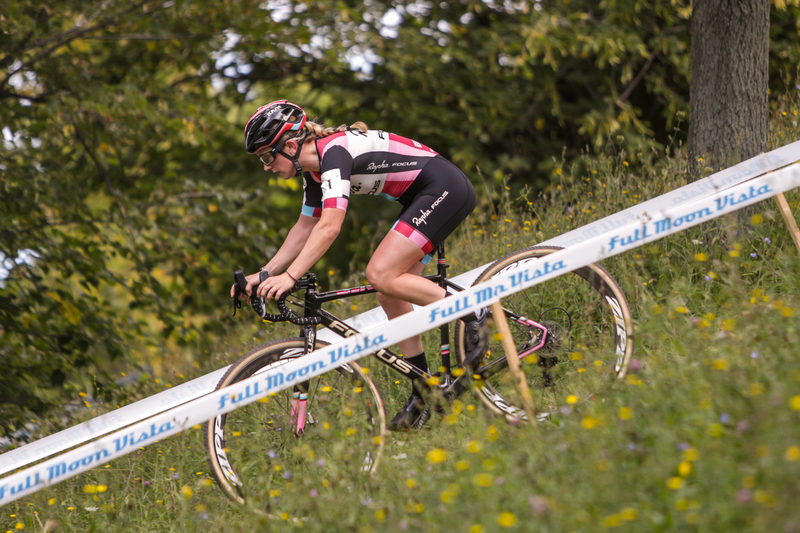 As the race gets under way, Canadian champ Maghalie Rochette (CLIF Pro Team) shows early on that she’s up for the challenge, especially in the course’s tricky technical sections. 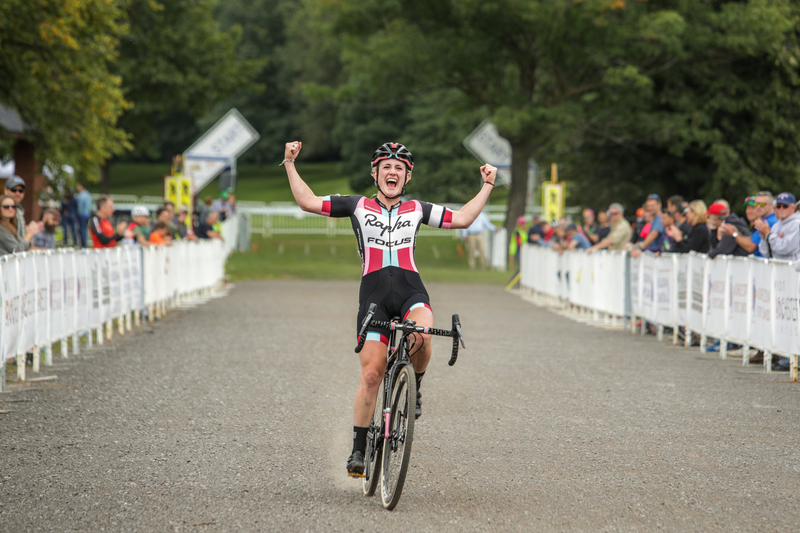 She and Noble soon pull away with the Cannondale p/b Cyclocrossworld.com duo of Kaitie Keough and Emma White dangling behind. Rochette is digging deep, while Noble stays comfortable. Noble looks strong. Confident. With two laps remaining, it’s time to go. 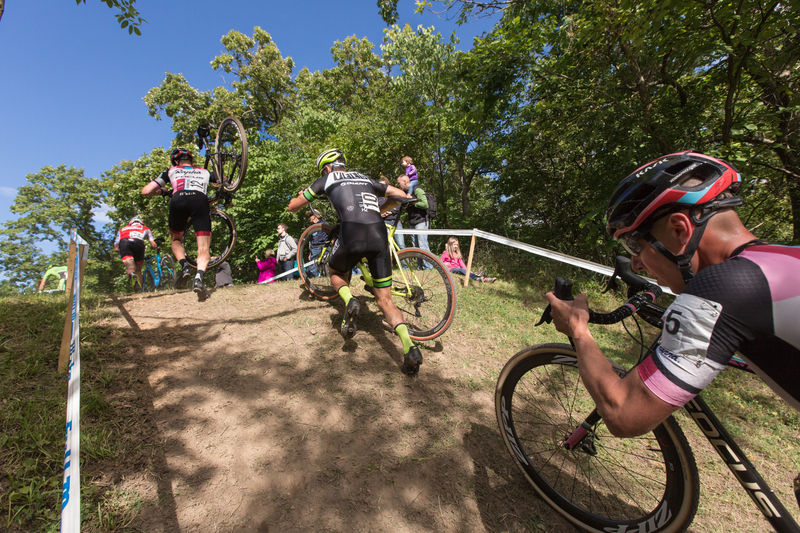 Last year, the race’s “Double Trouble” section–two quick and steep downhill 180s on the banks of the canal–were nullified by dry, dusty conditions that forced everyone to run. Today, conditions are firm and the feature is rideable for those with the skills. 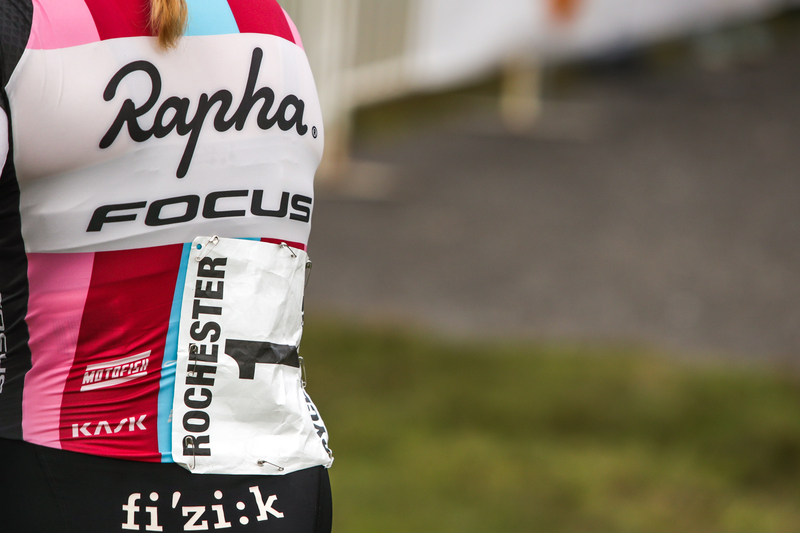 Noble sees an opportunity: Rochette bobbles and the #1 jersey gets the gap. 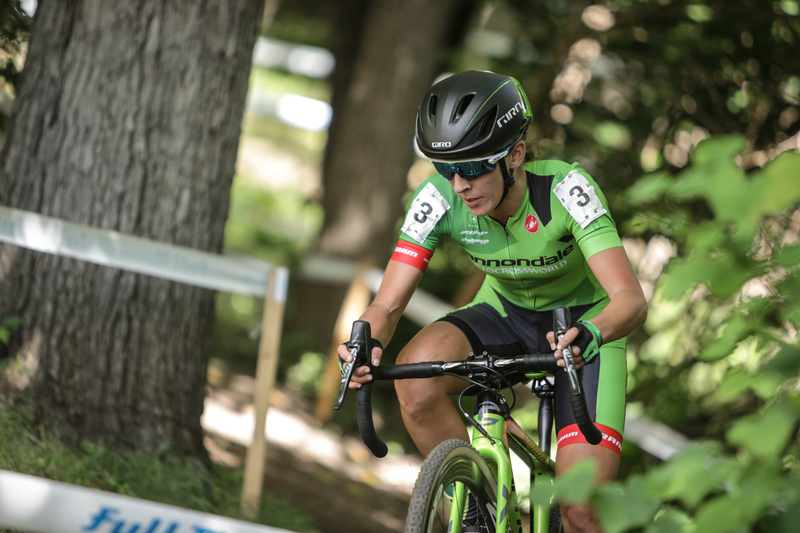 After a tough off-season, which included a concussion at the Mont-Sainte-Anne UCI MTB World Cup, everything is firing for her here in Rochester. 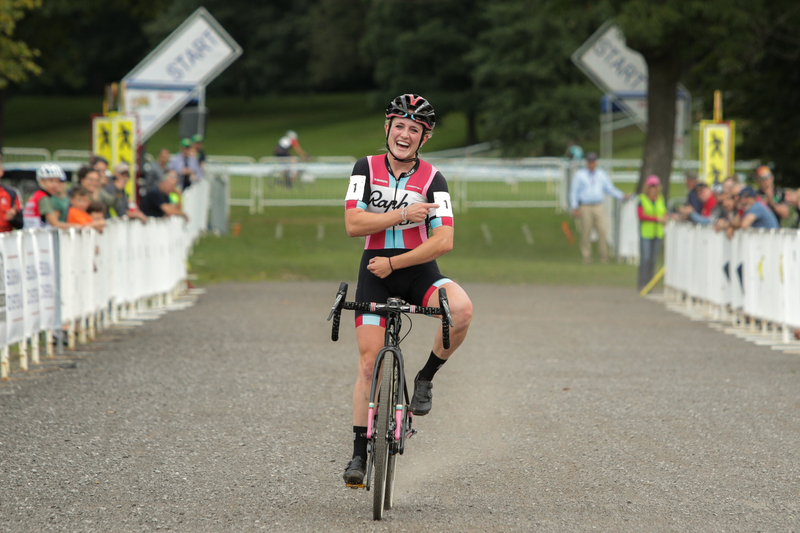 Crossing the line with Rochette nowhere in sight, Noble has time to sit up and savor the win. She leaves no doubt why she earned the first call-up. She has officially arrived. 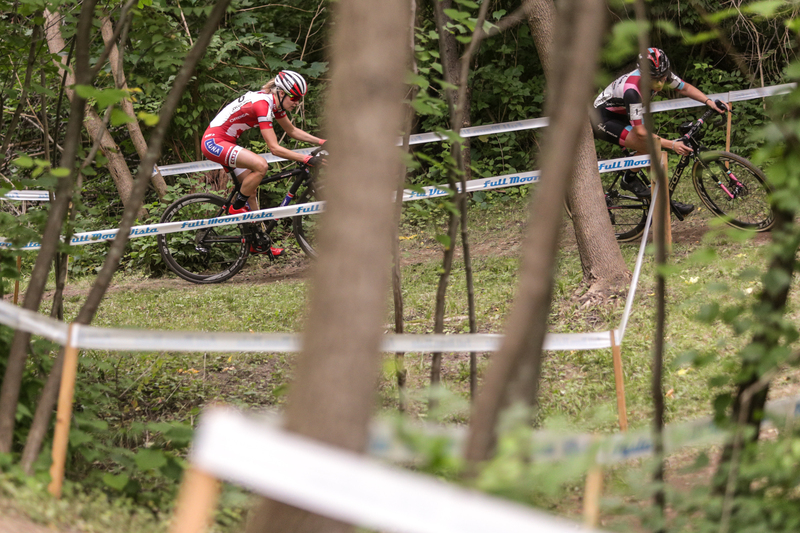 As the men’s field heads to staging, emotions are mixed. 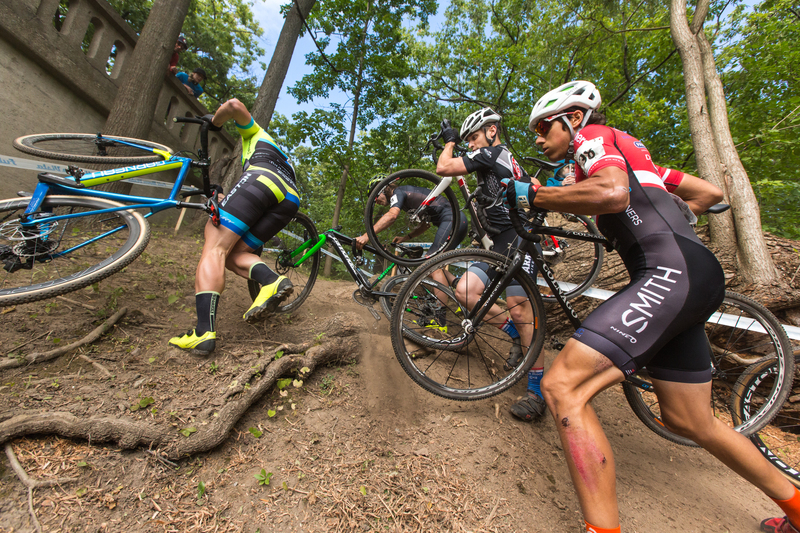 Racers are chatting, joking and staying loose, but there’s an underlying anxiety about the first big race of the season. 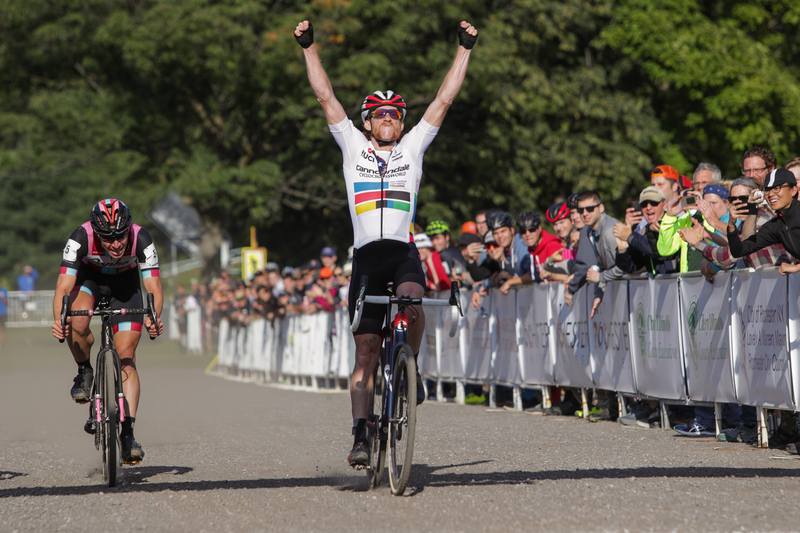 Stephen Hyde (Cannondale p/b Cyclocrossworld.com) comes into the day with a national championship jersey and the top ranking that goes with it. Jeremy Powers (Aspire Racing) has four of those jerseys too, and after last season’s struggles with injuries, he’s back to set things right. 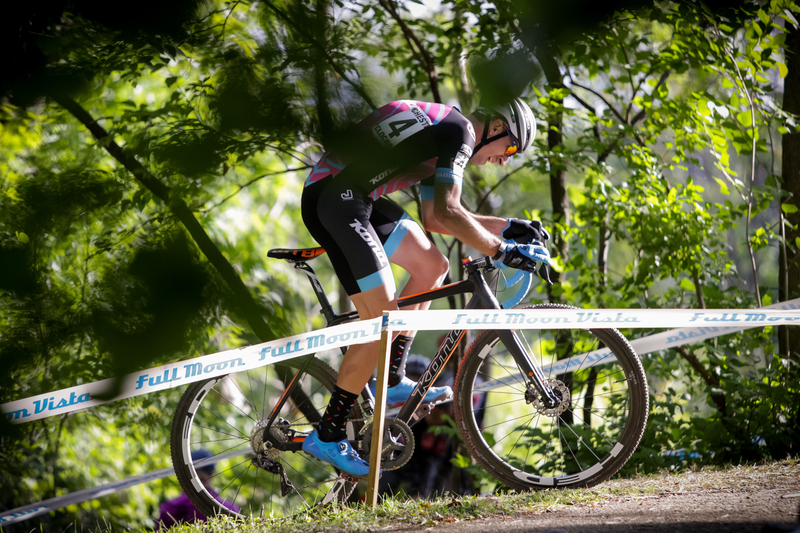 The wild card of the day is World Championship silver medalist Rob Peeters (Pauwels Sauzen-Vastgoedservice), who has arrived from Belgium early to get a head start on the season—and maybe grab some UCI points—before heading to the World Cups in Iowa and Wisconsin. 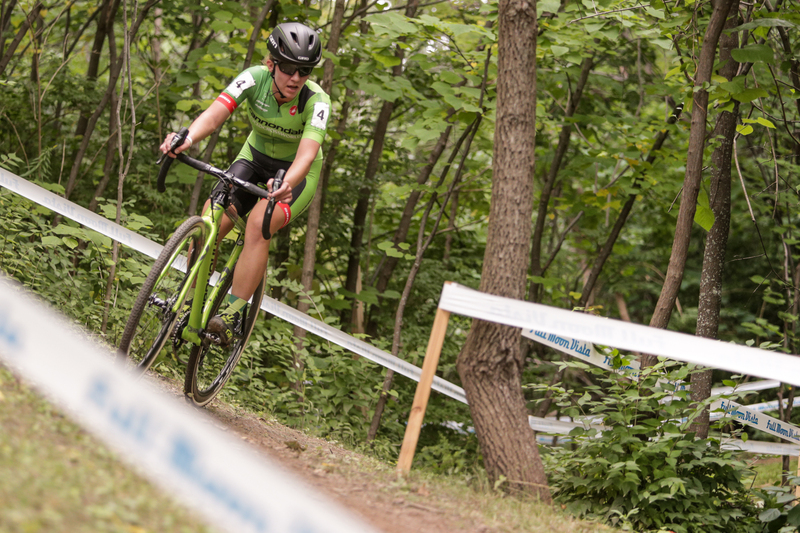 Also in strong contention are Kona’s Kerry Werner (who is coming off a solid string of mountain bike races) and Donnelly Cycling’s Jamey Driscoll (who finished third here last year). 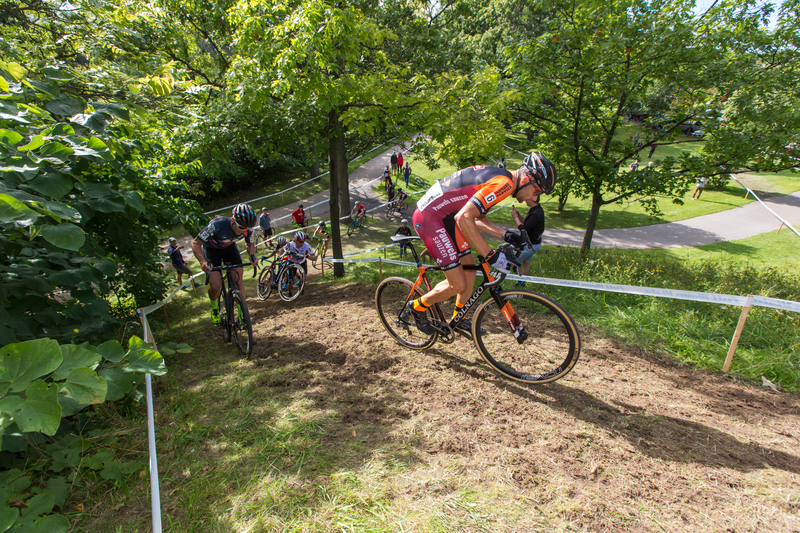 There’s also the next generation of U.S. Cyclocross: Tobin Ortenblad, Spencer Petrov, Jack Kisseberth, Lance Haidet and Gage Hecht. After months of off-season, no one is quite sure how the competition will stack up. It could be anyone’s day. Within a minute of leaving the starting grid, riders are stretched in a long line that will hold for several laps. 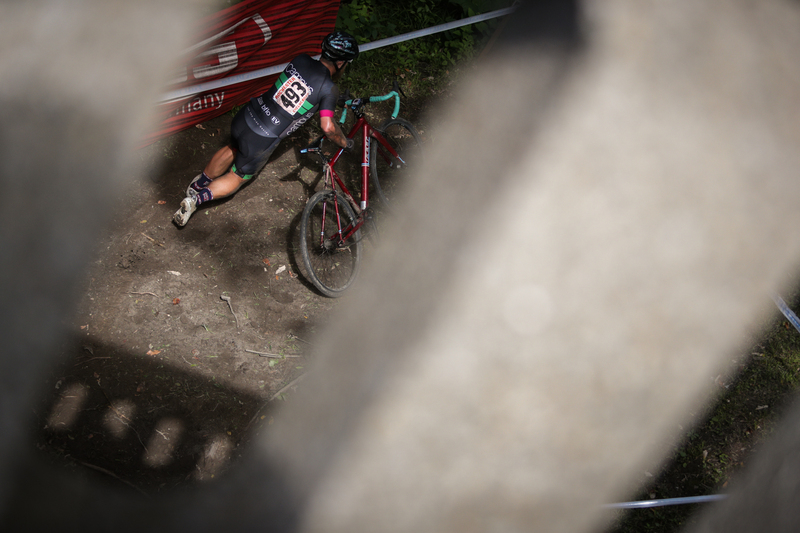 Gaps slowly form as some riders struggle in technical sections or get gassed in the grass. 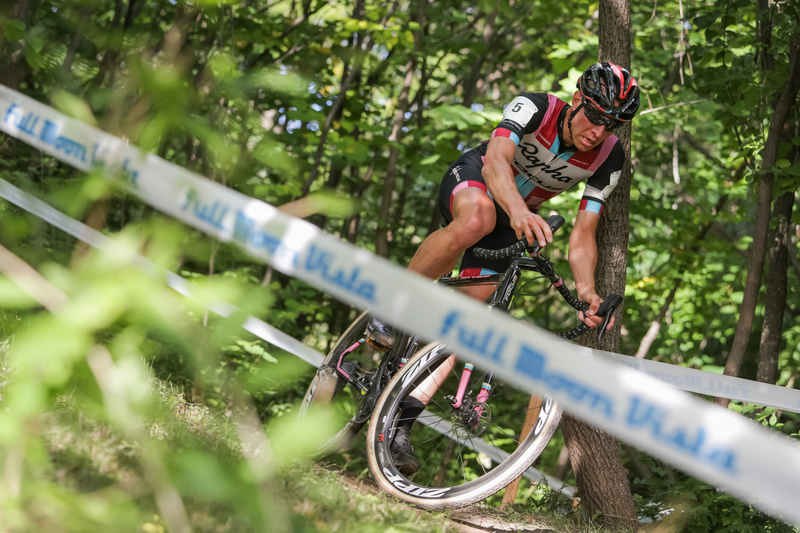 For Jeremy Powers, it’s mechanical issues. 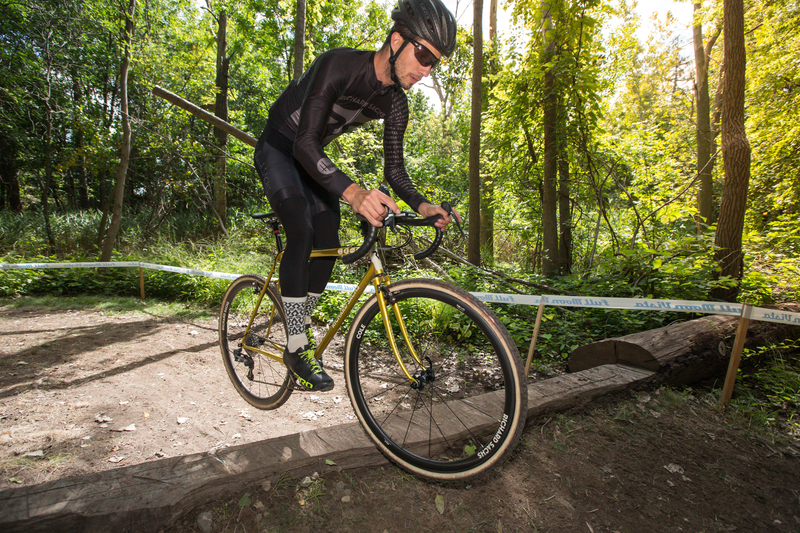 He drifts back in the pack on the first lap until he can get things sorted out. Now, he has to fight back. 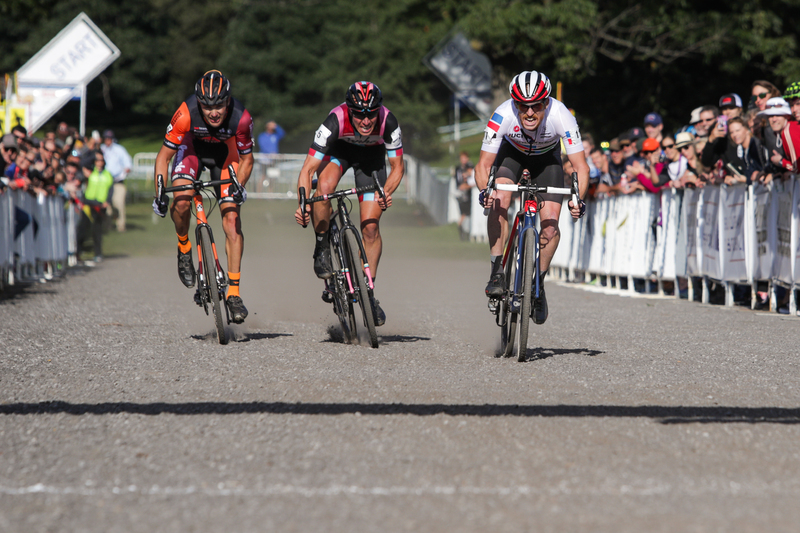 In the final laps, Hyde and Peeters open a gap on the pack. If this holds, the day is done. 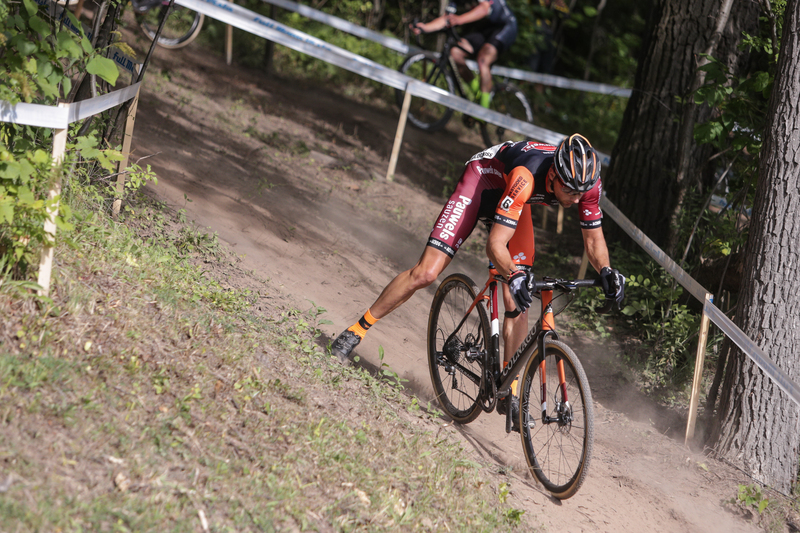 Powers hasn’t given up, though, and he works in tandem with his teammate Petrov to reel in the leaders. This is a dangerous duo to have on the same team. At age 19, Petrov shows immense promise. 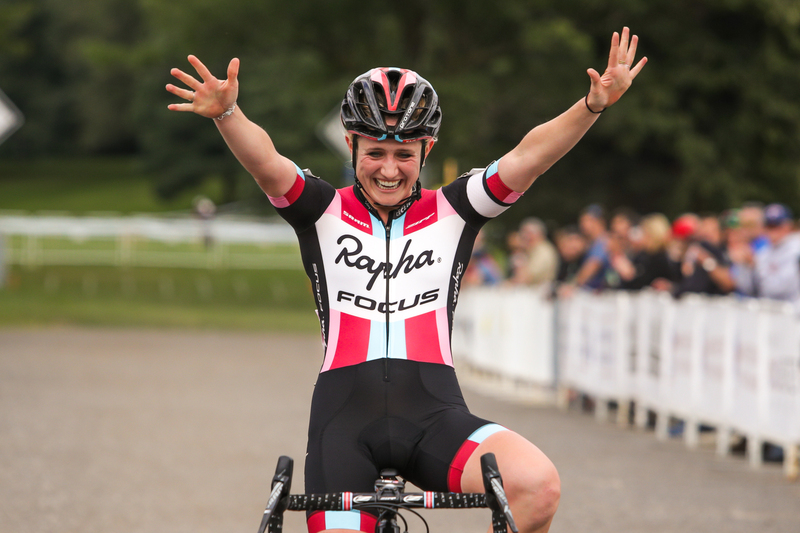 Between the young phenom and veteran champion, Aspire Racing will be a big threat at the front of races this season. Peeters is playing games and unwilling to work. 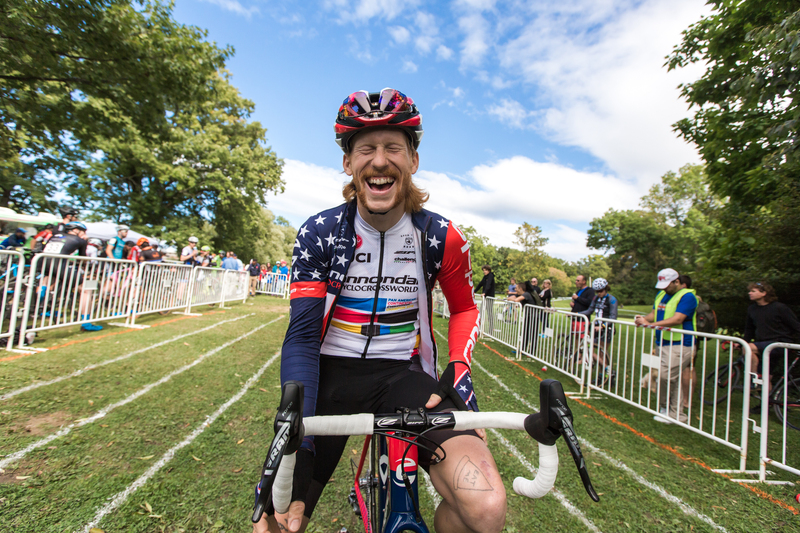 He bets that Hyde will feel the weight of his U.S. champion jersey and go all-in for this one. Peeters sits on, but Hyde isn’t having it. With two laps to go, Hyde calls his bluff and eases his pace. Quickly, Powers and Petrov are on them. After a hard chase, Petrov struggles to stay with the group and it’s down to a three-man race. 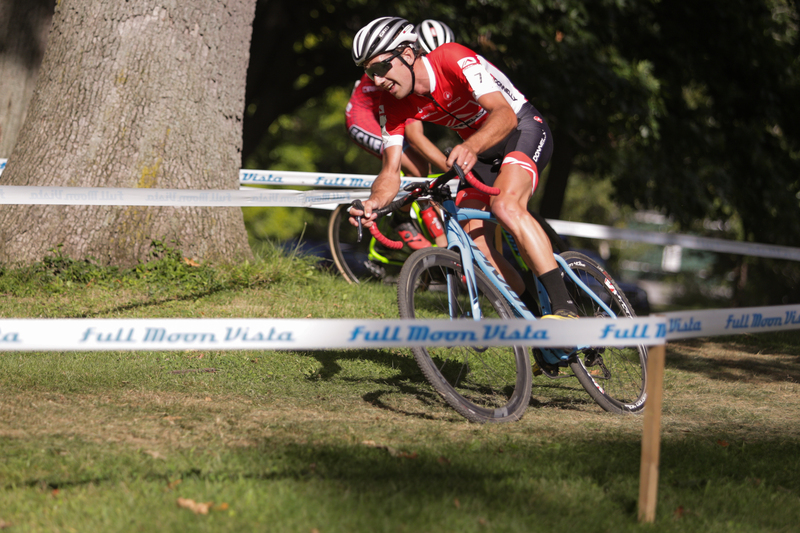 Hyde lost to Powers in a sprint at Rochester last year, when Powers led through the final corner and held it to the line. Hyde knows this. Peeters doesn’t. With less than 1 km to go, Hyde makes his move on the stairs and drives the pace. 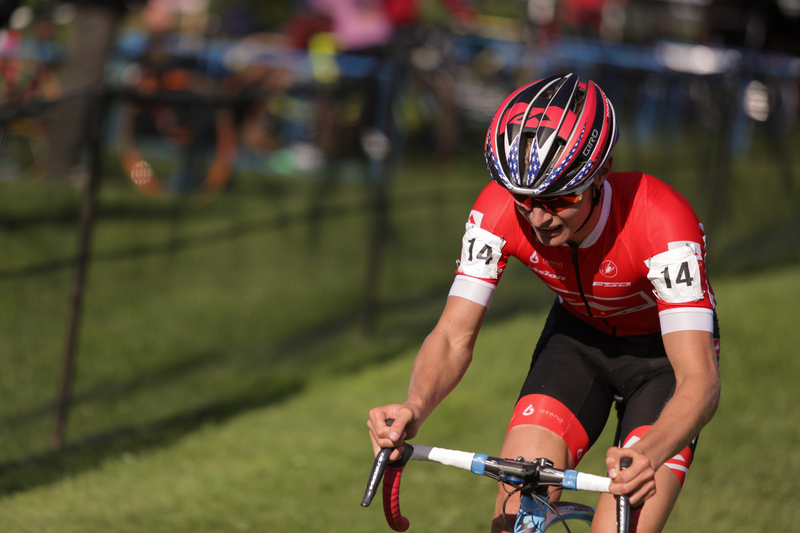 He holds position through the final turn. It’s a three-up sprint, but there’s not enough course left to make up much ground. Hyde has it. He starts this season just as he finished the last one: on the top step of the podium. The beer is refreshing. A chill is moving in fast and we’re back to sweatshirt weather. Maybe we’ll hit Wegmans on the way back to the hotel. Maybe I’ll just nod off in the cool grass for a bit first. All’s right with the world. Awesome pics (as always from BB!) and great commentary. Thanks Bill! !